Who else is still bass fishing? I've been reduced down to about 2 days a week now due to weather and it getting dark so early. Bite has slowed way way down. Got a couple the other day but didn't manage and today during a brief stint. I see them still targeting LM_Bass on Conesus. They say they are getting a few some nice sized. I'm not totally done yet but my last outting before pulling my boat last weekend was pretty uneventful. Not even a hit. I saw a few boats out while I was fishing from the Causeway this afternoon. Didn't see much in the way of any action, though. Yeah, it seems like tigers are the better bet right now. rbochan, any luck down on the causeway? I sneaked out onto lake Ontario when ,with the southern winds, the water under the bluffs was quiet. I was aiming for browns,but while trolling, I caught some bass only and no browns. They were released. tried last week we got a couple but was pretty slow. Only caught fish on tubes going real slow. My son and his partner came in second by an ounce Sunday in a tourney on Canadarago. Their bag had 4 big smallies and a small largie. My son has done very well with smallies on small but heavy bass jigs with small kitechs and drop shotting the same kitechs. They worked the drops keeping the boat in 10-12 fow and making long casts into the deep and jigging up the hill. I don't have a pic of that bag, but I'll post one of some 6-7 pound Erie tanks from last week. These were caught similarly but much deeper...40-80 fow. I also picked up 2 solid largies from the causeway while walleye fishing Wednesday night. Available daily sunlight, water temps below 50, and bait fish are determining factors for transitioning bass. Winter is right around the corner. Your best chances are what others have stated, IMO start in 15 fow on structure/ledge/ point/ dropoff etc. Cast shallow and if no good go deep. Or just go deep. They are transitioning to winter homes. We saw fish finder filled with fish in 25 fow on sodus Sunday. I would target smallies. They tend to be more active than largeies in cooler water. I went last Sunday. It just seemed devoid of anything there. I'll probably be there this Sunday afternoon too though. 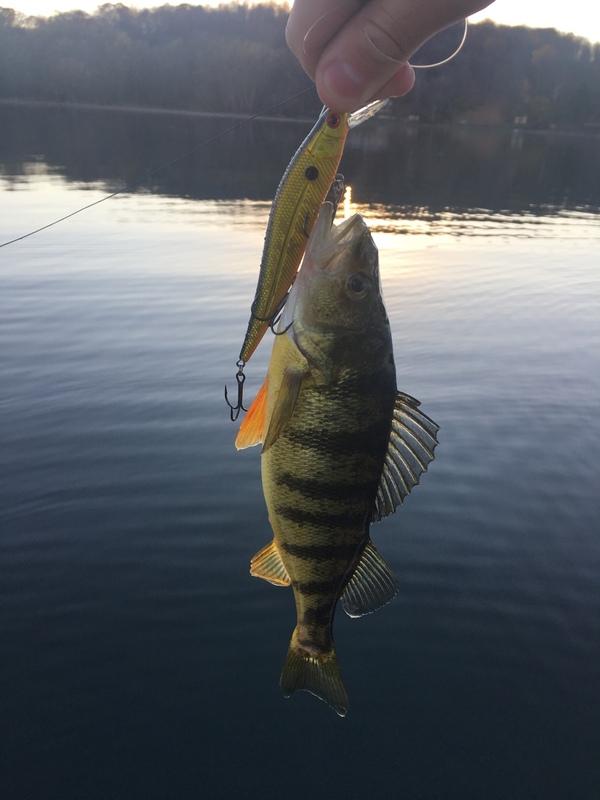 may I ask how a bass does after being brought up from 50' to 80' of water? I'm guessing those are catch and keep fish? I saw on inffisherman or angling edge ? smallies that were caught deep, they used hypodermic needle to relieve bladder. Not that I would do it, unless I was taught. Then they released them immediately. Was interesting. 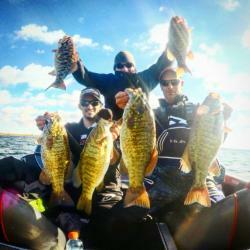 None of those smallies were kept...they were "fizzed" with a needle and released. Fizzed is not my term and I don't particularly love the idea but that's how it's done.